The IM-30 Letter Opener is a swift, convenient, and secure solution to process incoming mail or businesses which receive several hundred checks a day, for example, accelerate their cash recovery. 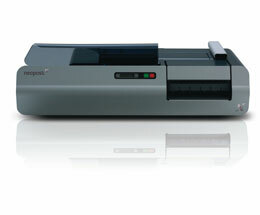 The IM-30 opens 1, 2, or 3 sides of the envelope without presorting, adjustments or waste. The contents are protected and document integrity is maintained.